You can fly through the general office tasks with the affordable HP LaserJet Pro M1130. 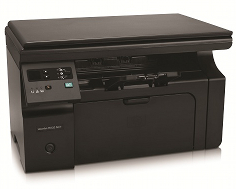 The HP LaserJet Pro M1130 increases efficiency with the three in one compact device. The carbon footprint is small and the yield is moderate with the compact device capable of printing at 18 pages per minute. The printer is part of a series, suitable for homes, and individual, small offices. It completes the required effects with cost-effectiveness. The HP LaserJet Pro M1130 has a more than ample optical scanning resolution of 1200 dots per inch. The bit depth is fairly average at 24-bits. Normally, the scan can complete up to six pages per minute. The good news, formats supported are PDF, JPG, GIF, TIF, and BMP. After files are converted, the files can be sent to emails, applications, or scan to file from the Personal Computer. Although, it lacks the flexibility of modern printer technology; it works with Server 2008, Server 2003, Windows XP, Windows Vista, and Windows 7. Minimum system requirements: 1 GB RAM, 1 GHz processor, 700 Megabytes of free hard disk space, SVGA screen with 800 x 600 capable of 16-bit color display. The physical dimensions are quite lightweight and compact at 9.8 inches in height, 10.4 inches in depth, 16.3 inches in width, and 15.4 pounds. The flip top permits straightforward access and capabilities to scan three-dimensional objects. The HP LaserJet Pro M1330 facilitates the maximum scan surface with the legal sized scanning glass. Owners can resize documents in copying features from 30 to 400%. The scanning quality is surprisingly high at 300 pixels per inch. The elementary design of the printer is decent enough for a single user in a personal office since the printer is capable of only one feature at a time. The HP LaserJet Pro M1130 does not have networking and faxing capabilities. Standard memory capacity is the same as the maximum of a measly eight Mega Bytes. The printer lacks flexibility in memory expansion and duplexer extras. Not ideal for busy office environments, especially when the company uses more than 150 sheets daily. The extra output tray holds more paper than the maximum copies that can be dished out. Printing, copying, and scanning is surprisingly slower than most other modern printers. The HP Smart Install lacks the compatibility to run on Macintosh operating systems. Operating Systems compatibility with the printer is designed for a criteria involving hardware and software requirements. Power consumption of the printer is higher than most models of similar size and functions. 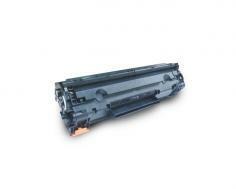 Active printing consumes 375 watts; active scan or copy consumes 265 watts; standby consumes 3.2 watts. This consumption is higher than most devices with more functionality and quality. You will be paying more in energy bills for less quality and functionality than other printers with less energy consumption, but superior functionality and quality. While the scanning quality is high, the scan feature is relatively basic. The printer is not ideal for busy office settings because the user would have to visit the printer every time they need to scan a document. The only way to used color features is through the use of a scanner; thus, the copying and printing lacks thereof. Albeit, the printer is compatible with most operating systems, it is surprising that the printer demands more power than is needed for its basic functions. The maximum duty cycle of the 8,000 pages reinforces the concept that the printer is ideal for a personal computer in the office. 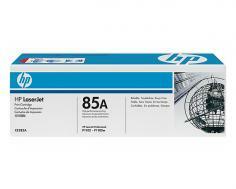 HP set recommendations forth of 250-2,000 pages that solidifies the low-capacity output. All-in-all, the printer is not very durable but is worth the money for a printer that completes the basic functions of a personal computer. Review it: "HP LaserJet Pro M1130 "
The HP LaserJet Pro OEM Original Black Laser Toner cartridges yield approximately 1,600 pages per cartridge.